Do you need to find out prices for Marquee Hire in Suffolk? Got a Suffolk wedding coming up and need to hire a Marquee?. Nothing says ‘British Wedding’ like a traditional canvas marquee, and that’s one big reason they’ve made such a comeback in recent years. If you’re looking to hire a traditional marquee for a wedding this year, we manufacture ours from a high quality cotton canvas that breathes, so it stays cooler in hot summer weather. If your wedding is not in the height of summer but you still fancy a beautiful marquee, we also manufacture heavy duty PVC marquees in the traditional style. These are very strong and durable, with a fit that prevents the inevitable sag that comes with water pooling in the roof on rainy afternoons and evenings. Our marquees are wind tested to wind speeds of 80mph, so with Weatherill Brothers any day is a marquee day! Call us on 01953 882394 and ask us for a quote. If you’re looking to hire a marquee in Suffolk, either for a special one-off event or for a longer period, give Weatherill Brothers a call on 01953 882394 and ask for a quote. 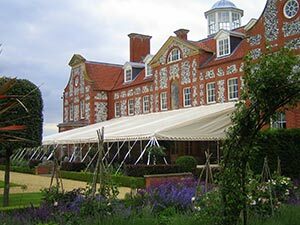 We are the go-to place for marquee hire in Suffolk, and we can assist you with all your marquee hire requirements. Weatherill Brothers have been around for a long time. We can trace our company roots back to the 1800’s, and we’ve been manufacturing, selling, and hiring marquees since the 1950’s. We believe our long standing success is down to our excellent customer service, and the quality of the marquees made by craftsmen in our custom built workshops.